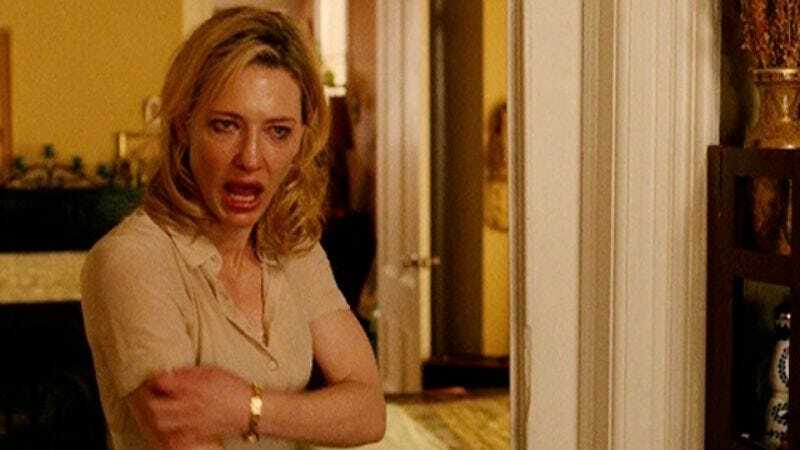 Painfully aware that there are already too many distractions surrounding Woody Allen movies, Woody Allen has pulled his latest film Blue Jasmine from release in India, rather than allow the government to insert anti-smoking warnings over two of its scenes. According to Indian law, every film is preceded by an ad from the Ministry of Health depicting the dangers of smoking, while any scene in which characters light up must be accompanied by an onscreen text message reminding viewers that smoking can be hazardous to your health—no matter how cool it looks when being done by the bad-boy rebels of a Woody Allen movie. Refusing to let India to push him around, Allen—no doubt while rakishly dangling a Marlboro from his lips—opted to withdraw his movie altogether, thus denying the impressionable Indian teens that emulate him all the upper class New Yorker neurosis and cool smoking they crave. Instead they’ll just have to settle for movies that depict only safe, government-approved murders and rapes, then meet in back alleys to have their own conversations about America’s corrosive greed over a rich, satisfying smoke.